Each year people all over the world die from the flu. To protect against influenza epidemics and their potentially mortal results, medical professionals encourage vaccination. While generally effective for healthy individuals, vaccinations are less effective for the elderly, the immunocompromised and other high-risk groups. For the healthy, getting a shot doesn’t necessarily mean that you won’t get the flu since current vaccinations are not foolproof. But now there’s hope. 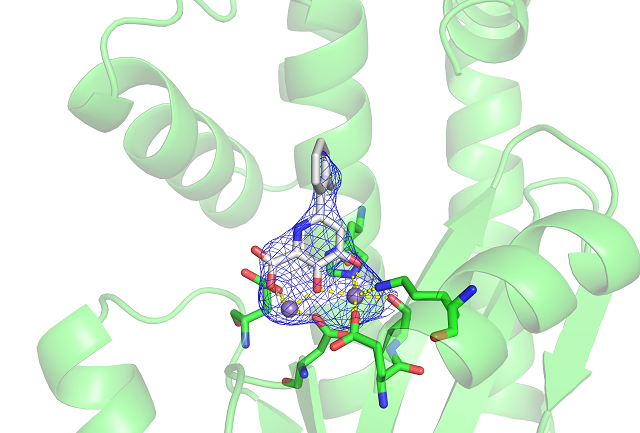 Researchers led by the University of California San Diego’s Seth Cohen, professor in the Department of Chemistry and Biochemistry, report that by tweaking a small-molecule drug, there’s promise for future production of new antiviral therapies that could protect patients from the flu—regardless of the strain they contract. Cohen’s team of researchers presented their work today at the 255th National Meeting & Exposition of the American Chemical Society (ACS), the world’s largest scientific society. “This has been a bad flu season with a highly infectious, aggressive strain, and the inoculation does not appear to be working well. It makes the population, particularly the young and the elderly, vulnerable to serious illness or even death from the simple flu,” said Cohen. Since the start of the 2017-18 flu season in October, the Centers for Disease Control and Prevention (CDC) has reported nearly 66,000 positive tests for the virus in the U.S., resulting in hundreds of deaths. The CDC attributes such an active season to the presence of a particular strain of the virus, influenza A H3N2. Flu vaccines are less effective against these “H3” type viruses because these pathogens are more likely than other strains to mutate after the vaccine has been produced. Though most years the vaccine is highly effective at keeping people from contracting the flu, this “H3 flaw” is motivating scientists to seek more reliable treatments. In order to develop an antiviral drug for influenza, scientists had to find an area within its structure that would prove vulnerable. The influenza virus is a lipid-enveloped, negative-sense, single-strand RNA virus, meaning the genetic information it uses for replication is contained in RNA strands held inside a protein shell that is coated by a fatty layer. Instead of relying on a host’s straightforward DNA replication process as some other viruses do, influenza depends on its own enzyme called RNA-dependent RNA polymerase. So, scientists have consistently focused research efforts on developing a drug that would affect this viral process. Cohen, who is co-founder of Forge Therapeutics, notes that the RNA polymerase complex remains constant across many different versions and mutations of the influenza virus. Therefore any therapies that target it are not likely to suffer from the issue the vaccine faces; namely, the H3 flaw. The RNA polymerase itself is divided into three subunits. Cohen has homed in on a metal-centered domain within one of the subunits. “One of the major targets has been a particular RNA polymerase subunit that the virus uses,” Cohen said. “It is a nucleic-acid processing protein that is required for the life cycle of the virus, for it to replicate and to propagate, and it is dependent on manganese metal ions.” The subunit relies on two manganese ions to initiate the replication of the genetic information. Scientists have reasoned that a drug that could bind to the manganese ions would shut down the protein’s ability to work, leaving the virus unable to reproduce and spread through the body. This could weaken or perhaps completely stop the virus, thereby treating the flu. The researchers acknowledge funding from the U.S. National Institutes of Health. The American Chemical Society is a not-for-profit organization chartered by the U.S. Congress. ACS is a global leader in providing access to chemistry-related information and research through its multiple databases, peer-reviewed journals and scientific conferences. ACS does not conduct research, but publishes and publicizes peer-reviewed scientific studies. The Department of Chemistry and Biochemistry at UC San Diego is committed to excellence in research, education and service. As part of that mission, it values and promotes equity, fairness and inclusion of diverse members. UC San Diego’s research efforts are designed to change the world for the better—through new medicines, innovative technologies and more that will help address disease, global security, public policy, climate change and more.